The first piece in the puzzle to generate leads starts with web traffic. The logical next question then is, how do you get people to visit your website? That is something every business owner needs to think about. 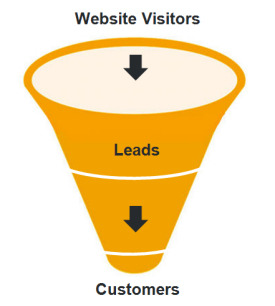 Without good traffic visiting your website, you will not get the leads so critical for gaining sales. Comment on Other Blogs - Commenting on other blogs is a good opportunity to bring interest to your company's blog. The blog post on which you comment should be on a topic associated to your blog. Your comment should add to quality to support the blog post, not just be a reference to your site. In fact, the last thing in your comment is your link. Write Guest Blog Posts - Many blogs offer opportunities for guest bloggers. The blog you write for must be in the same area of interest as your blog. The post should add quality content for the hosting blog. Again, the last thing to mention in your post is a reference to your own blog. This adds value to the link going back. Tie In Offline Activities - When ever you do any activities in the real world, you need to link it back to your online presence. Give out cards and promotional items that promote your website. Announce your real world marketing activities on your blog or website. This tie-in will promote traffic to your real world event as well as your online presence. Create Marketing Campaigns - You want to generate interest for people to share. Create a campaign that offers incentives for people to enter a contest or vote in one. An example would be a pretty baby photo contest. Generate interest by requesting people to submit photos. Then the second half of the campaign would be the voting. The winner would receive a prize. The biggest winner is your website because it will get more traffic. Work with Referral Partners - There are organizations out there that work as referral partners with each other. Members refer their customers to the businesses in that referral network. These referral networks can be a good way to increase your traffic. This is one of the lesser used options for digital lead generation for business brokers. Leverage Your Email Database - You likely have plenty of customers who already love your products and services. You need to leverage that database in a professional way. Provide incentives to your customers to refer their contacts to your company. Many businesses seem to be in a rush to generate leads but it takes time to overcome the first "hurdle" of generating web traffic. All of these techniques will increase your web traffic numbers. One final tip. When you pair these techniques with SEO and social media techniques, you will get a marked increase that steadily grows over time.